We’ve just taken delivery of our coffee cups. That might not seem very exciting to people reading this blog but for us it’s another checkpoint on our journey from having an idea about a community centre to the reality of being open for business. Meanwhile, construction of the building is coming along nicely. It looks pretty much complete from the outside. 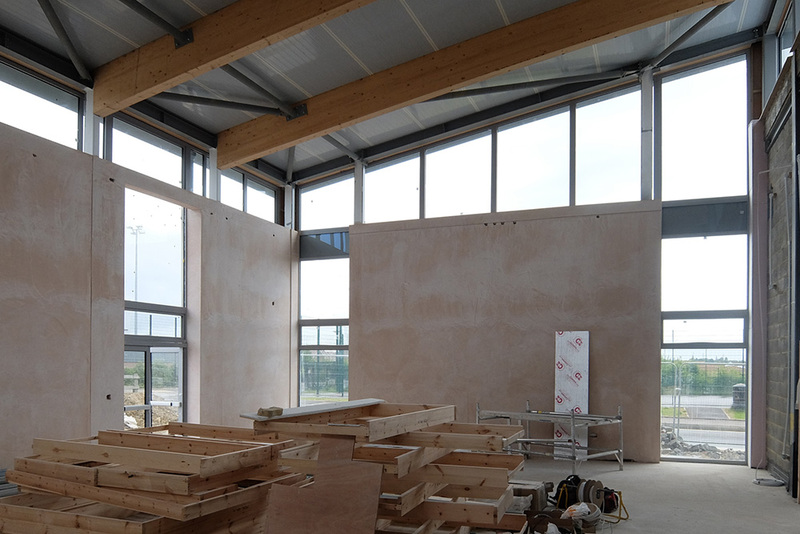 Inside, the under-floor heating and concrete screed are down, internal walls are going up, wiring and ventilation are going in. 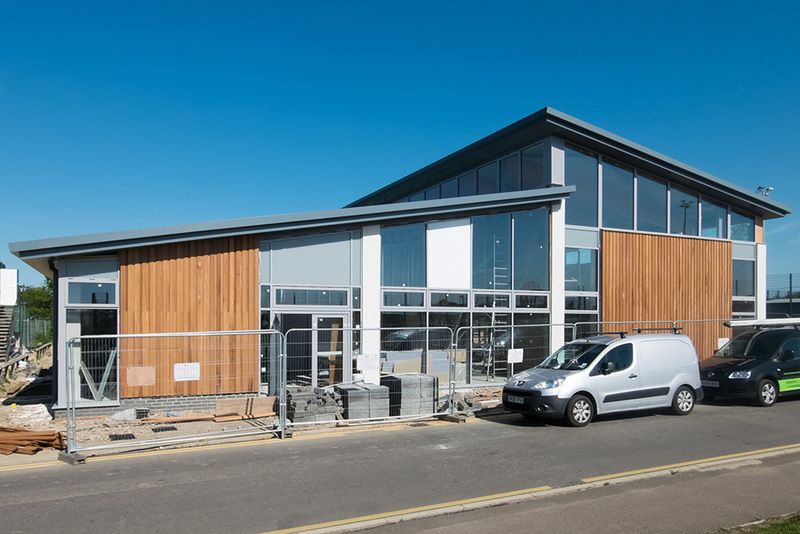 We’ve been told there may be a delay to the connection of the electric and gas supply but we’re really hoping this won’t upset our plans to be open in September. It’s likely that activity on site will quieten down over July and August, but please be assured that we’re doing everything we can to be open as soon as possible. A few people have asked what’s happening with the new preschool. This will be managed entirely separately to Love’s Farm House, and we’re still waiting to hear who our neighbours will be. The tender is being managed by Cambridgeshire County Council and a decision is due imminently. There’s a huge amount going on behind the scenes with our trustees and other volunteers. We’re working on our website and marketing strategy, planning the launch festival, applying for licenses and dozens of other tasks in anticipation of launch. We now have a busy calendar of events with 28 weekly sessions pencilled in, and we’re in the process of turning these into confirmed bookings. We’re looking forward to sharing details with everyone soon. It’s not too late to get in touch if you’re interested in running a session, or know someone who might be – please email chair@lovesfarmhouse.co.uk. We’re placing orders for furniture, kitchen equipment, garden supplies, AV and IT equipment, cleaning equipment, signage… our shopping list currently runs to over 350 orders. A huge thanks to St Neots Town Council for their financial support with this. It would simply be impossible to do it without them. A big thanks to BPHA, our local housing association that has always been a key supporter of Love’s Farm Community Association and Love’s Farm House. We’ve just received funding from BPHA to continue the Love’s Farm Youth Club at the Farm House, and also to launch a new youth project for 14- to 18-year-olds. Watch this space for more details. And big thanks too to HDC, which owns the freehold to Love’s Farm House and is overseeing its construction. 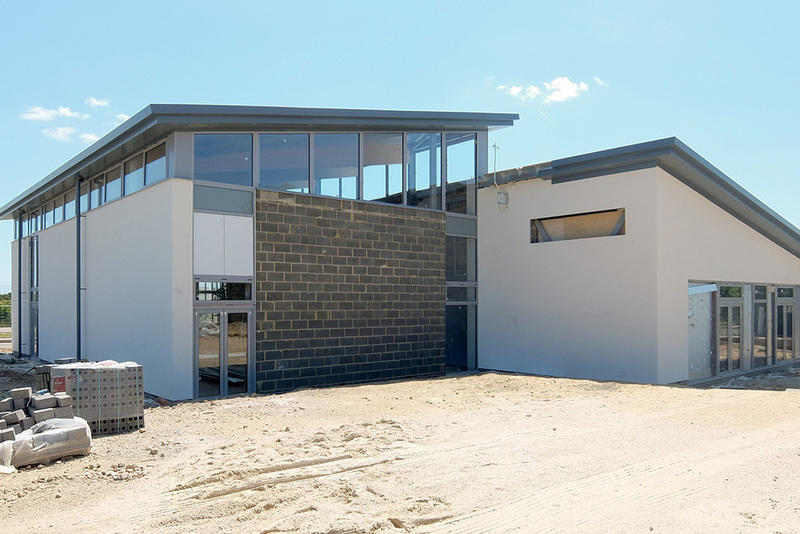 We’ve had our ups and downs over the months and years as both parties have struggled to make the community centre a reality, but we’re hugely grateful that HDC has stuck with it and that we’re finally in sight of the finishing line.